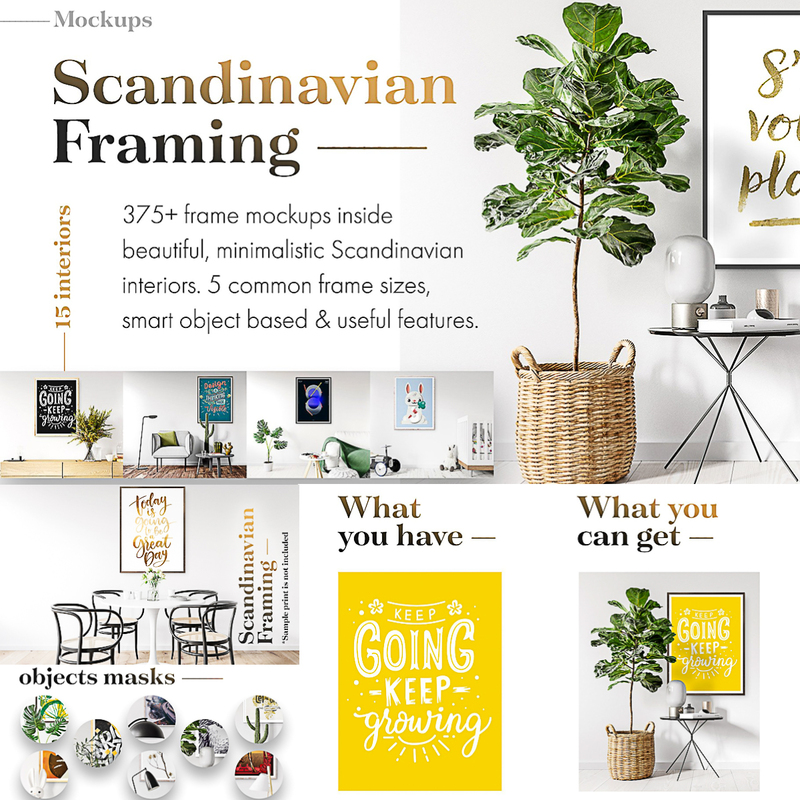 Set of 25 different frames (5 sizes x 5 textures each) with 375+ variations with Scandi Mock-Ups! 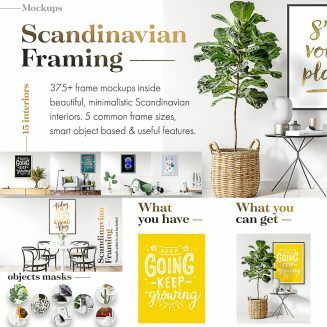 Scandinavian Framing in numbers: 15 different interiors, 5 most common frame sizes, 5 textures for each frame size, 2 variants for each frame (with and without mat). Tags: artwork mockup, frame, frame mockup, interior, quote, scandinavian, wall, wooden.